Have things changed in the Supreme Court in the last year since the January 12, 2018 'press conference'? Yes. 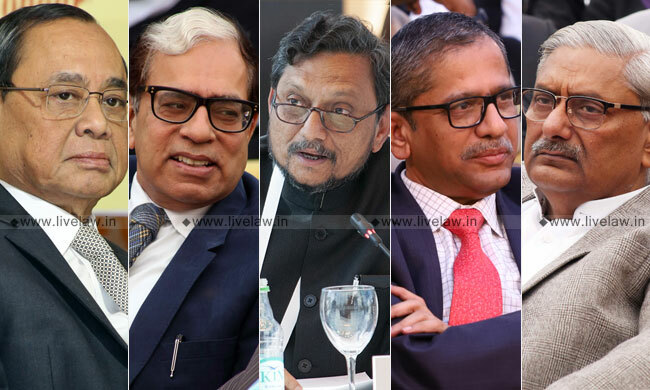 The shocking facts I have learnt from authoritative sources show that the master of the roster has additionally become the master of the collegium – and with a bang. Consider this: The collegium met on December 12, 2018 and took certain decisions. This is clear from the January 10, 2019 resolution of the collegium, which states, inter alia, "The then Collegium on 12th December, 2018 took certain decisions." Among the decisions taken and resolved were the elevation of Rajasthan high court Chief Justice Pradeep Nandrajog and Delhi high court Chief Justice Rajendra Menon to the Supreme Court. The January 10 resolution overturned these decisions. The resolution of the collegium in its January 10 meeting – when the collegium changed after Justice Lokur retired on December 31 – clearly suggests that the decision taken on December 12, 2018 was not communicated or placed in the public domain because "the required consultation could not be undertaken and completed as the winter vacation of the Court intervened." "The Chief Justice of India, in consultation with other Judges in the Collegium, would ascertain the views of such Judges of the Supreme Court, who have worked in the High Court in which the person being considered for elevation has worked." Clause 8 of the MoP is not mandatory – the Chief Justice would, "in consultation with other Judges in the Collegium" ascertain the views of judges outside the collegium. This clause is operational only if no judge in the collegium is aware, first hand, of the working and functioning of a judge being considered for elevation to the Supreme Court. That was not the case on December 12, 2018. Will the collegium reverse its resolution on the basis of the consultee judge's post-decisional opinion? Has that ever happened? Incidentally, the decision taken on January 10, 2019 was also prior to any consultation with the concerned consultee judges. When did it dawn upon the Chief Justice that post-decisional views of the consultee judges were required to be ascertained without "consultation with other Judges in the Collegium"? Was it before the Supreme Court closed for the winter vacation, during that time or after? The text of the resolution negates the third possibility. The first possibility is that the Chief Justice realised the necessity of "the required consultation" before the Supreme Court closed for the winter vacation. If so, was he not obliged to immediately inform all the judges in the collegium of this 'lapse' so that it could be rectified before the Supreme Court closed for the winter vacation or at least during it? The Chief Justice had more than enough time to take steps to rectify the lapse (if any) but no steps were taken for rectification. Why? The text of the decision taken on January 10, 2019 states that it was appropriate to have a fresh look at the decision taken on December 12, 2018 in the light of some additional material that had become available (apparently) to the Chief Justice. The text of the decision states: "After extensive deliberations on January 5-6, 2019, the newly-constituted Collegium deemed it appropriate to have a fresh look at the matter and also to consider the proposals in the light of the additional material that became available." The independence of the judiciary is at stake and the collegium system definitely needs reconsideration before it is too late. The Chief Justice should ask himself the question: Is this why he participated in the transparency and accountability 'press conference' on January 12, 2018?